Recommended Procedure for Donkey Colts – Donkey Welfare With Heart Inc.
Donkey Welfare With Heart recommends donkey colts be castrated by a veterinarian. The surgical procedure involves sedating the donkey, then preparing him for the operation that does not take long. 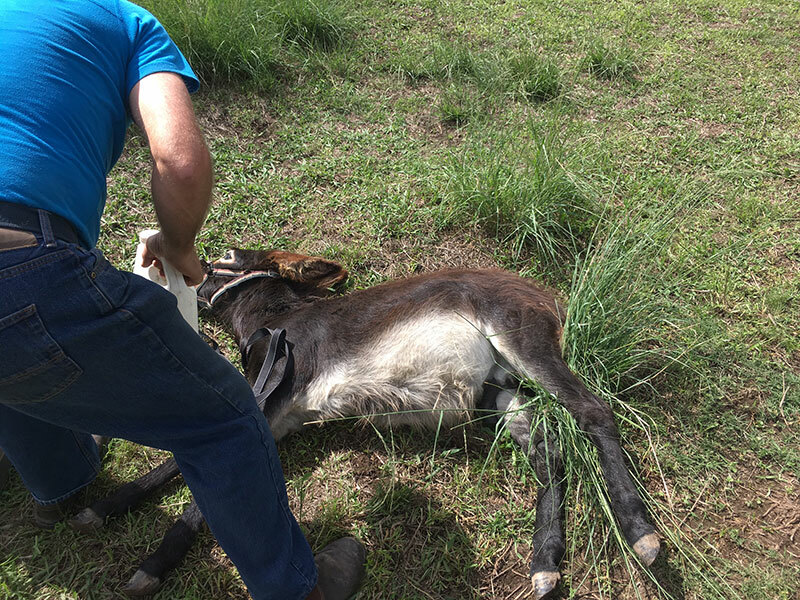 Afterwards, the donkey awakes, rises to his feet and is observed closely for 24 hours to ensure normal post operative swelling and draining of the site. Exercise is recommended to reduce swelling and healing. Donkey Welfare With Heart has had success with every colt or mature jack's castration due to adherence to the rules that apply. The most recent operation was for five month old Max. He has recovered well and is happy with his paddock mates. If you have any concerns, worries or questions about donkey castration please contact us - a pleasure to help if possible.